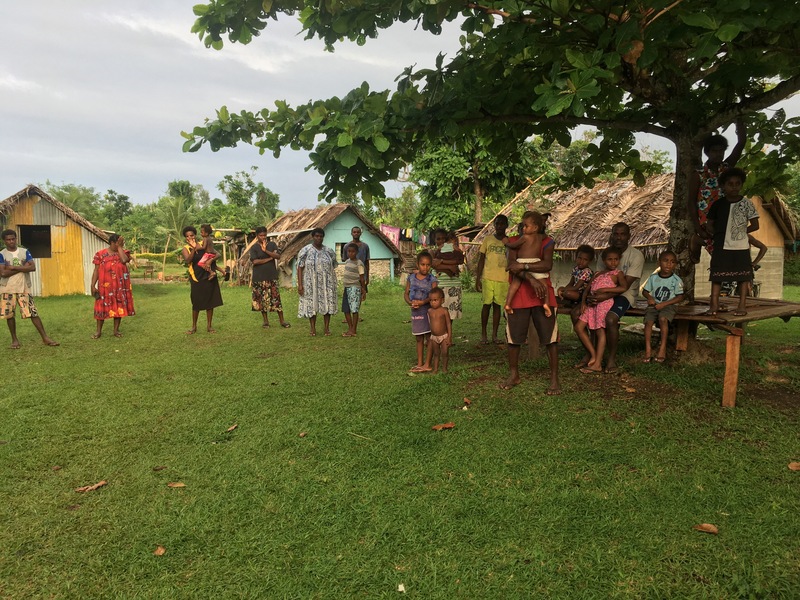 After Cyclone Donna passed it was determined that groups would return to their original host villages instead of trading right away. This meant our group would return to Epau. Before TC Donna, Marc was sick pretty much every day, everyone was missing western food and talking about their “sit sit wata” due to aelan kakae (Bislama for island food). After, Marc was healed, everyone was eating lots of aelan kakae with no stomach backlash and appreciating being in Epau. 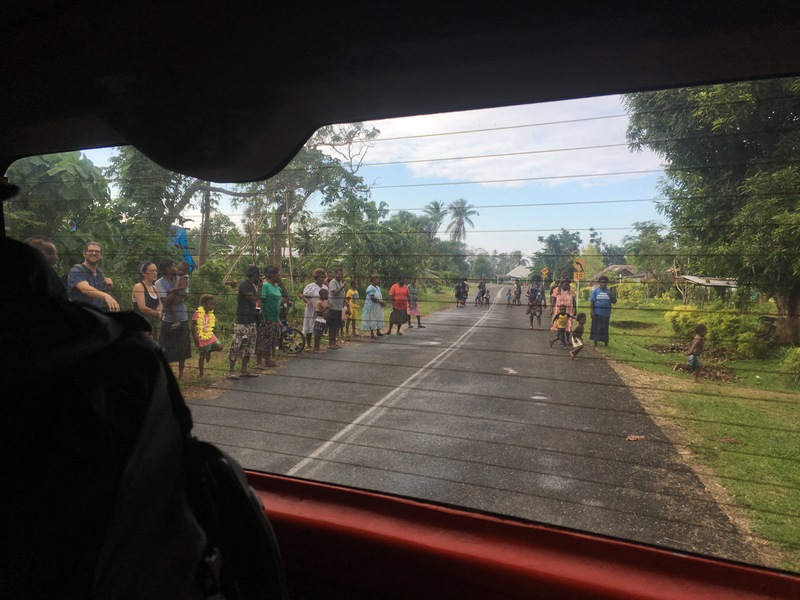 Before the cyclone, everyone was excited to go to our next village, Pele. It’s a beautiful island with nice beaches and really good snorkeling. When we returned I think we realized what was most important. People. We rushed out in such a hurry when TC Donna came. Many people didn’t get to say goodbye to their host families. When everyone was reunited, the bonds seemed to be stronger, people were more engaged and genuinely happy to be where they were. I attribute part of this to acclamation of the food and weather but the other part I believe to be the sorrow of missing something you weren’t fully appreciating the first time and getting a second chance. Having that week or so in Holiday Inn to look back and to think you might not see those people again made many people really sad. Many people didn’t even want to switch training villages at all anymore. 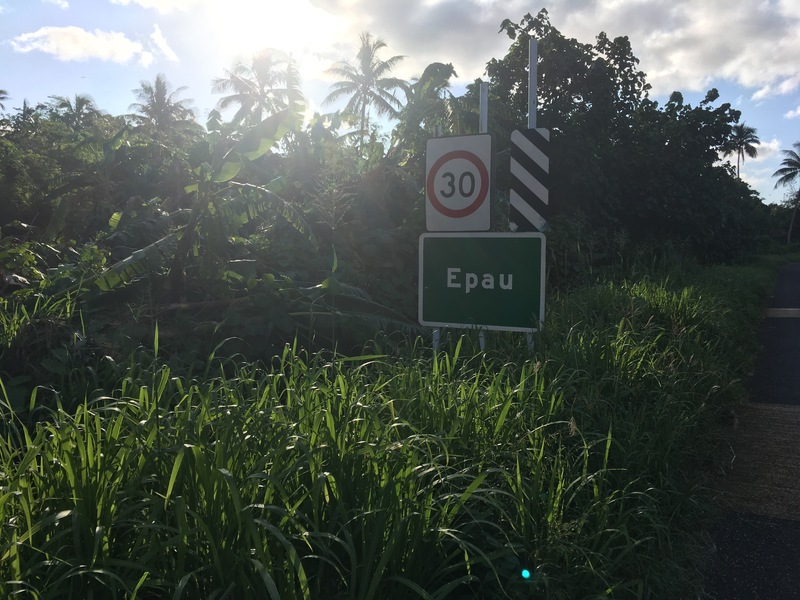 Not to say people weren’t loving strongly before, but I think the anticipation to going to the “better” village kept many of us anticipating the end of our time in Epau. When we came back I think we all lived for the moment and fully appreciated the small things we may have overlooked before. Epau became home. It’s a hard feeling to express but it’s like we lived in Epau for a long time and at the same time our visit felt super short. The day we left, I watched my mama and sister shed large tears I wasn’t expecting. A big group stood outside our van and wished us well. Shaking hands with each person made me think about how each of them had enhanced my life in the small time we have known each other. Watching our van driver stop so that a papa could jump off the back of a truck to get the chance to say goodbye to his host daughter inside our van almost brought me to tears. The girl, who had already told us she was not a publically emotional person, was now sobbing having to say goodbye to a papa she may never get the chance to see again. He was also tearing up at the reality of the goodbye. During our last feast a mama of another volunteer gave a speech to all volunteers and the community. In her speech she said something to the affect that “saying hello is always easy, it’s saying goodbye that is hard”. Before she could finish the statement she was crying heavily. Without missing a beat, her volunteer ran to her aid and gave her the biggest most loving hug to comfort her despite the eyes of every person of the community on them. If one moment could explain the essence of why we were in Epau that would have been it. 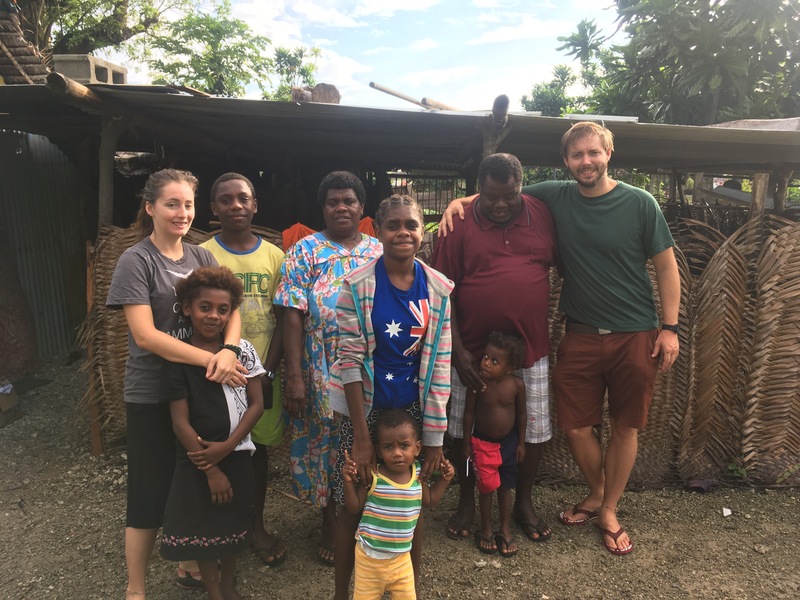 Our job was to become one with the community and their job was to show us the culture and to accept us into their homes. This mama and her volunteer had done just that. There was a great balance of banter and instruction. He was truly her son and he revered her as a mother. Epau, it was great. Thank you for welcoming us into your lives. We will not forget what you taught us, the great times we shared and the selfless way you helped us through the growing pains of a new culture. Thank you for sharing your beautiful stories with us. We love and miss you.